PromiseGarden.com has published more than a dozen books, both fiction and non-fiction, including Christmas books and a children's book, to encourage and inspire people on their faith journey. One day, the idea to forgive someone every day for the next 40 days popped into Lynn Zuk-Lloyd’s head. 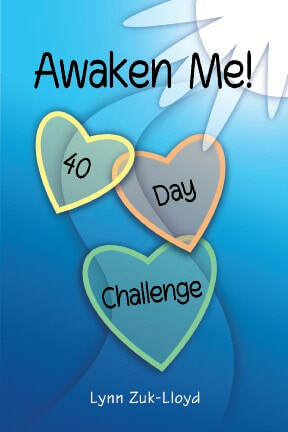 Lynn thought she was a forgiving person until she stepped into the challenge. It was then that Lynn discovered there were people in her life that she had never forgiven – like the boss who belittled every person who worked for him, the neighborhood boy who made fun of her, and the teacher who embarrassed her. Jesus wants us to be free from the people who offended us and free from the hurt and pain – free from ALL of it! But before we can forgive someone, we need to know that God loves us deeply, and that He eagerly waits for us to release our burdens to Him so HE can carry them for us. Lynn’s book is not just about forgiving people, it’s about snuggling closer to the Lord and entering into the softness of Christ’s love so we want to let go and forgive. This is a great book for any season, but it works especially well for Lent, and it’s available on Amazon. “Let me go!” Erin shouts. The sea roars up in anger, like the voice screaming in her head. When the waves calm down, a stranger appears on the dock. What does he want from her? Is he part of the evil menace that haunted her past and threatens to destroy her future? Or can he help her escape the nightmare that won’t leave her alone? And what does Erin do when she discovers she’s part of a divine adventure arranged by God Himself? Subtle spiritual warfare at its best! 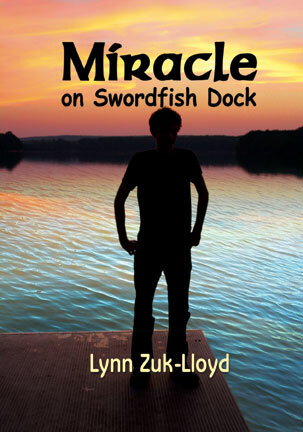 Miracle on Swordfish Dock is available on Amazon. You might think it unusual for an artist to write a novel. Lynn did, but the idea wouldn't go again. So she plunged into the project. Ten years later, the book was finished. Lynn learned a lot! But most importantly, discovered that when the Lord places an idea on our heart, and we step into it, the Holy Spirit takes us on an adventure we will never forget. HE also brings people to help us along the way. © 2018 Lynn Zuk-Lloyd. All rights reserved. All words, art, images, videos and photography, unless otherwise noted, belong to and are copyrighted by Lynn Zuk-Lloyd. No art, photography, video, words, stories, poems, images, illustration or multimedia may be used in whole or in part, or copied, duplicated, downloaded, or stored in any retrieval system or transmitted in any form by any means (electronic, mechanical, photocopying or otherwise) without the prior written permission of the copyright owner. For information regarding permission, send an e-mail to info@promisegarden.com.